Putting an outfit together has just as much to do with the mood we're in as with the season, the kind of day ahead and our surroundings. We might feel adventurous or romantic, or want to be organized and disciplined. We might have been inspired by something new, or prefer the familar comfort of trusted wardrobe staples. There are so many different reasons that make us reach for our clothes, whether it's through rational focus, or a subconscious state of mind. 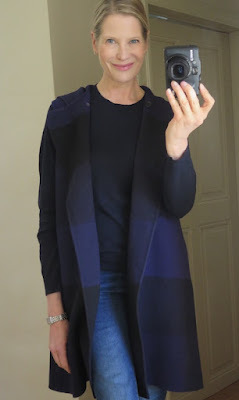 In the past few days, nothing else was as alluring and comfortable to me as the uniform I kept slipping back into: a pair of jeans, a black or blue fine-knitted wool sweater (Tippi from J.Crew is a favorite) and a cosy, block-coloured gilet which gives the perfect amount of warmth for winter days. Not sure what this says about my current state of mind, maybe it is the wish to simplify things for the early beginning of the New Year. Wearing the same clothes every day however, doesn't mean you have to look the same all the time. With a few accessories and minimal effort you can create many different looks, and perhaps it is because of this challenge that I'm in 'uniform mood' in the first place! 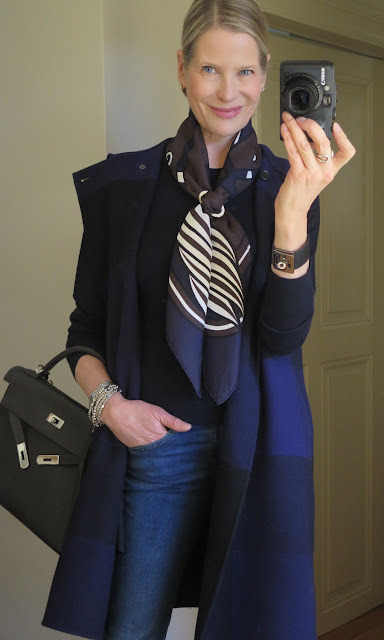 Light and breezy with a Pocket Square scarf and small bag - Hermes Picotin 18 in Bleu Sapphire and Vif Argent Gavroche and Kelly Dog bracelet in black croc. 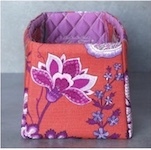 The scarf is tied into a basic slide with a MaiTai Collection Petite Classique scarf ring in silver (available here). Also wearing an MTC Multistrand bracelet in silver (here). Inside my Picotin... a Picotin insert in Bagatelle corail (available here)! I'd love to know which your favorite look is.. Please post your vote in the comment box below (Blogger seems to have fixed the issue with the comments). As requested by many, here some shoe ideas and wardrobe info! 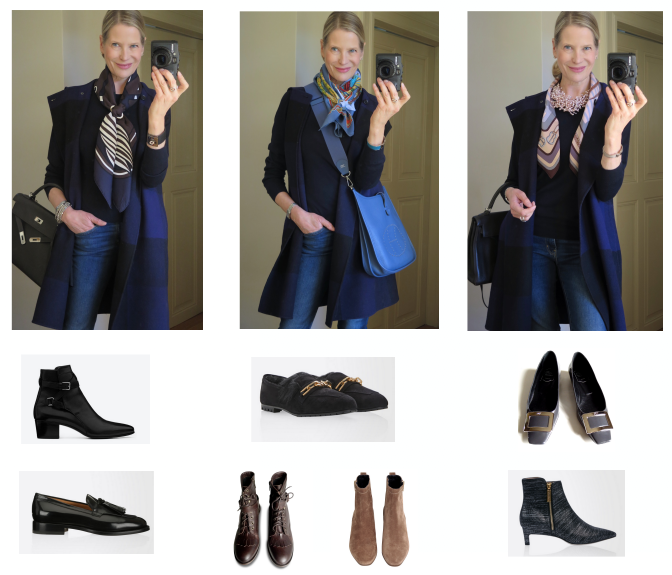 Left column: Black ankle boots by Saint Laurent, moccasins by Max Mara. All lovely. Numbers 1 and 2 are my very favorites. I tend towards "uniforms" also. There are so many possibilities I never find it boring. Many thanks for voting Jeannine! Completely agree with you, playing with possibilities is the opposite of boring. 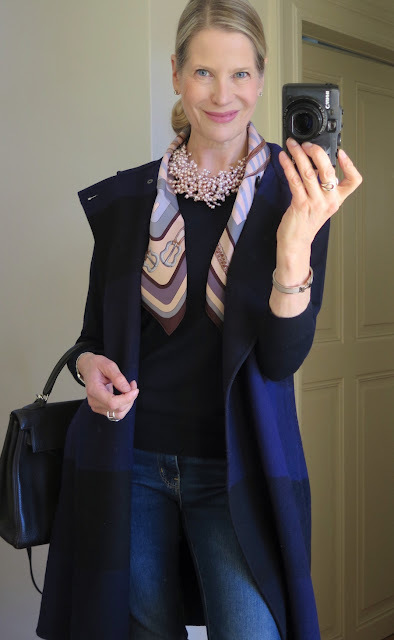 Love the juxtaposition of a statement necklace and scarf too. Have fun experimenting! Love all options. 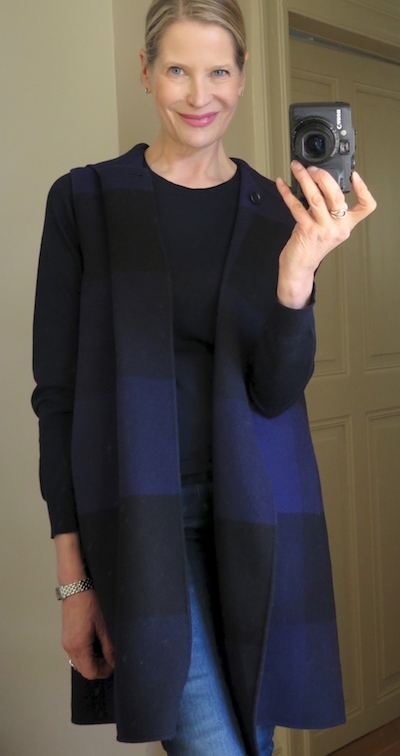 B is my favorite as the gradations in blue show so nicely but not overdone. Pops of color add more interest. Thank you for sharing! It's tone-on-tone with a little twist...and therefor quite fresh, I think! Many thanks for voting! 3rd vote for the CenD, looks as if a winner is emerging! Thank you for your beautiful post. Amazing photos and looks once again.So happy to see you again. The 1st, 2nd and 3rd lioks are my favourites. Coaching and Rendez vous. Great illustration of how changing one thing can change the whole look and mood. Thank you! 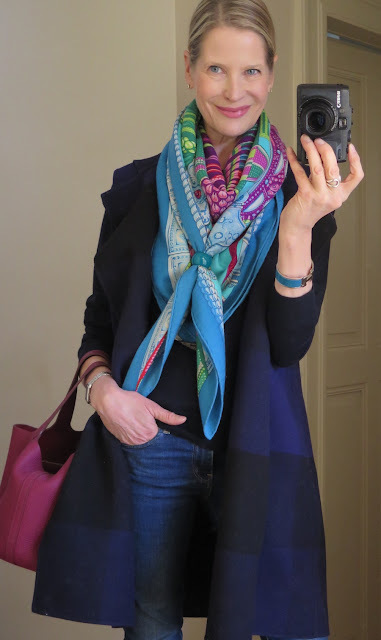 I just started recently to wear my 70 scarves more often again, and you picked both.. what a coincidence! And yes, all power to accessories! I love this post!!!! It really does show the power of accessories to change a look and mood. All looks are fabulous but I think b) Cuirs de Desert 90 carré and f) Rendez-vous à Rive Gauche 70 carré are my favourites! Please can you do more like this post! SUPERB!!!! Thank you for the lovely comment dear Glenda, so happy you enjoyed the post. 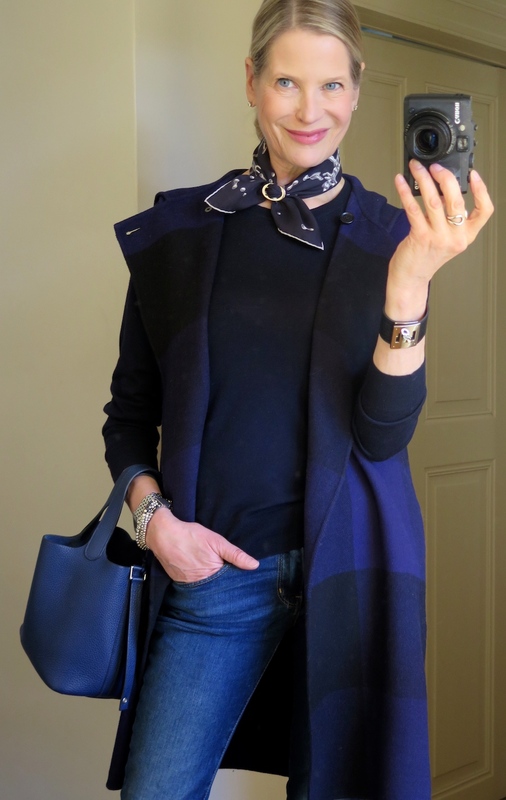 Accessories are definitely our best ally.. my outfits would be quite dull without them! So very nice to be re-united at the pond again, dearest Katja, missed all the exchanges amongst swans! Actually, we could also call ourselves uniform swans ;) So happy you enjoy the new reversible scarf rings and hope you have a wonderful weekend! 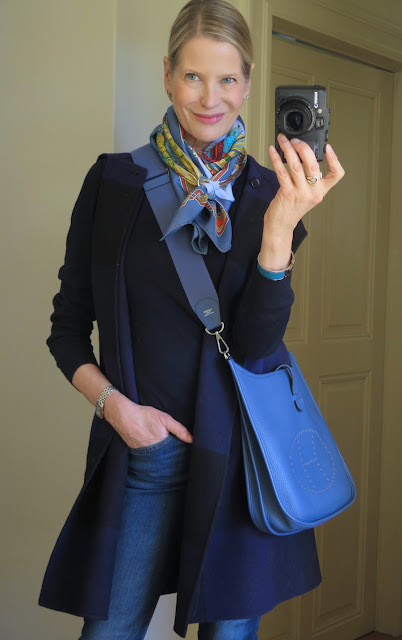 all your uniforms are lovely BUT..I like B with the Bleu agate Evelyne crossbody against the color of the Cuir de Desert.Beautiful coloring. ALSO...like the gavroche look with the calm single color almost as much....put together but not fussy. Good Job! but winter so gray and gloomy here I am beyond inspiration. You remind me I seriously need a new purse. Thank you Marty, happy you like them all! Looks like b) is a clear winner, but thrilled that the Gavroche look got it's first vote! I so enjoy your wonderful posts and I loved today’s glorious collection of uniform outfits. My favourite is e) Ceintures et Liens cashmere shawl, probably because it looks the warmest and has the most colour and we are in need of both here in cold, grey, wintery London. Dear Katy, thank you very much for the kind comment and for voting. Hope the weather improves soon, sending you a few rays of sunshine in the meantime! Happy New Year, dearest Tai, and what an inspiring post to kick off with! I am a fan of uniform dressing,too. What a great reminder that, with just a few tweaks, you can completely change the look! Great packing concept to be able to refer to,also. My favs are b) and e), yet love them all! Thank you Jana, glad it got another vote! The outfit I like the most is Cuirs de desert. The colours are beautifull and the Evelyn too. I wear it the same like you in other colours. Which kind of shoes do you wear with this uniform? I think it is the feeling of minimalism that we all tend to wear easy and “uniform mood” outfits in this very busy and over consumpting world. If I go for shopping I get creasy of so many cloth, colours and special all the “plastic synthetix” clothes. As I was younger I loved to go shopping. Know I only go to shops where I know they have my style. Hello dear Thérèse, thank you very much for the thoughtful comment. 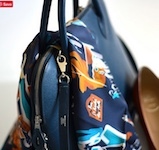 It is true that so many fashion articles are created just for the moment, and quite a few pieces probably would not last much longer than that. On the other hand, the choices have never been broader, so there is fun in discovery. I included some few shoe ideas at the bottom of the post and I hope you like them. Thank you very much for the great suggestion! what a wonderful post! I guess, we love your proposals so much, as Therese said, because of "this very busy and over consumpting world". For me this sounds probable. On the other side you always show us, how easy the choice of accessoires has an effect on the whole look! My favourites are b) e) and f). A wonderful sunday to all swans and especially for you! Thank you for the lovely comment, dear Claudia! I sometimes think of my capsule pieces and accessories as the moving parts of an outfit kalaidoscope... with every twist and turn another look emerges! Thanks so much for voting and have a wonderful week. Ganz liebe Grüsse! I like b the best! This is a wonderful post. Thank you Tammie! Have a wonderful Sunday. All the combinations look very nice but I found myself attracted to the Quadridge look and the ceintures et liens look. I like statement pieces and I am naturally attracted to bigger scarves (90 and 140). The pop of color of Ceintures et Liens makes me happy especially on a sunny day like today. 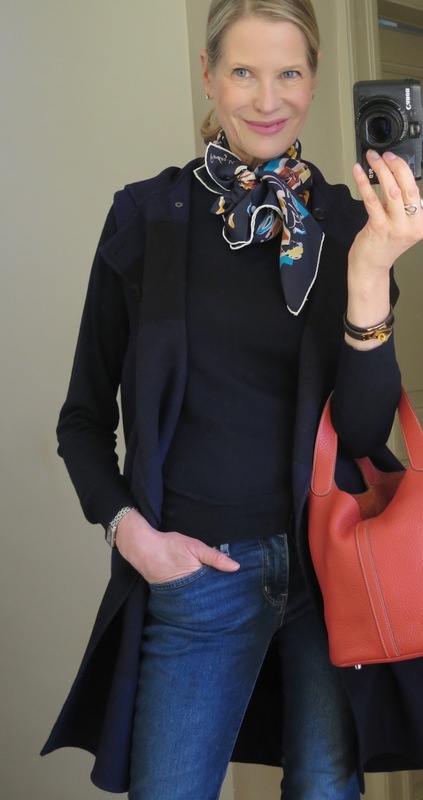 The Quadrige colors are more neutral but the large drawings of the scarf are very elegant. Thanks for this post and the lovely ideas it generates. Thank you Dominique, so happy Quadrige got another vote! Love the elegant simplicity of it too. 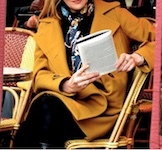 The CetL is such a joyous scarf, it makes you smile even on a cold and cloudy day. Have a wonderful Sunday! My favorite is e. Those colors are perfect for your complexion!! I also love how you tie the nature photos in with the colors of your outfit. These are all gorgeous looks but please advise on footwear and jeans cut please. Just added these to the bottom of the post! I love F and second favorite is B! 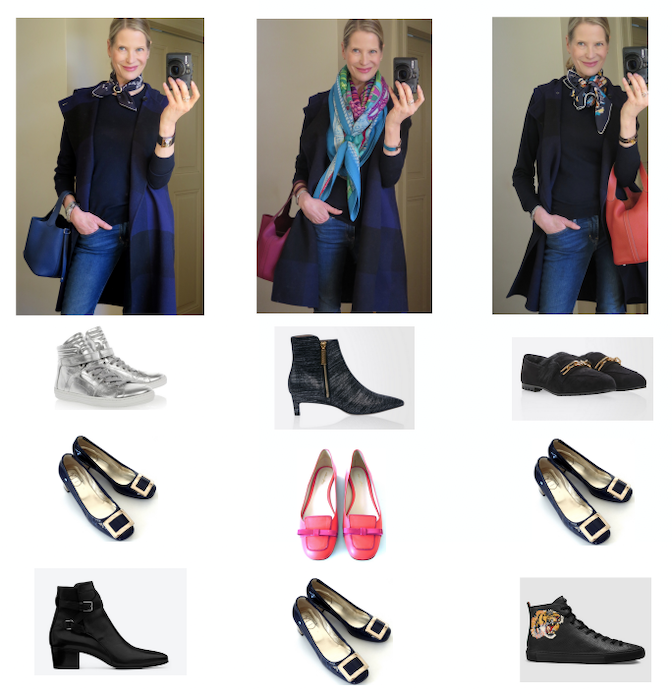 Love the shoe edit, darling! From head to toe you have all of the bases covered! Interestingly, the first and second place both feature cowboy knots. Is it a (seasonal?) coincidence, I wonder? They also offer the brightest pop of color..
Voting has definitely been fun, will feature it more often in the future!